Before you say it.... I know - I'm on a spending ban -but this was too much of a bargain to just walk past and ignore! My current/all-time favourite mascara, Maxfactor's Masterpiece Max, is running low and rather than forking out the £10 it is for a new one I thought I would give this penny-saver a go. Saving money AND trying out a brand new product - Deal! 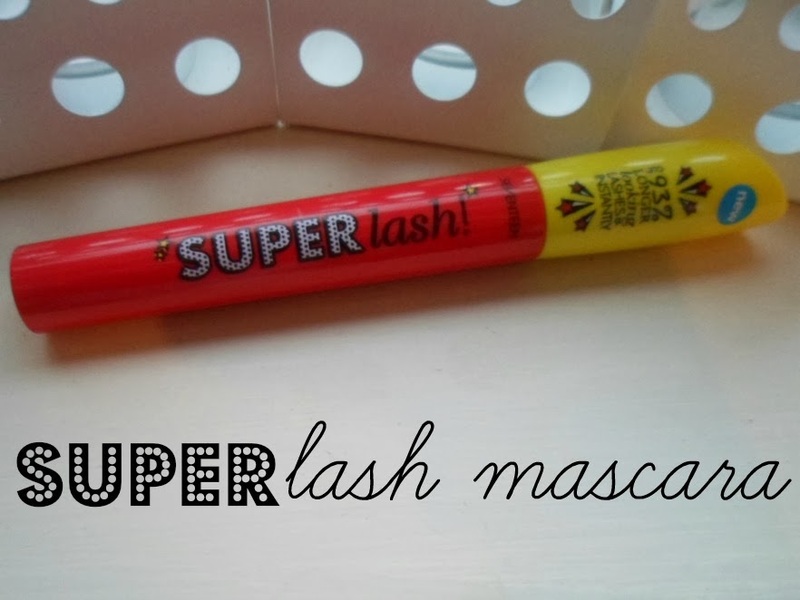 This is the brand new mascara from Seventeen, a brand that seems to be on my blog ...alot. (what can I say, I'm loving them!) 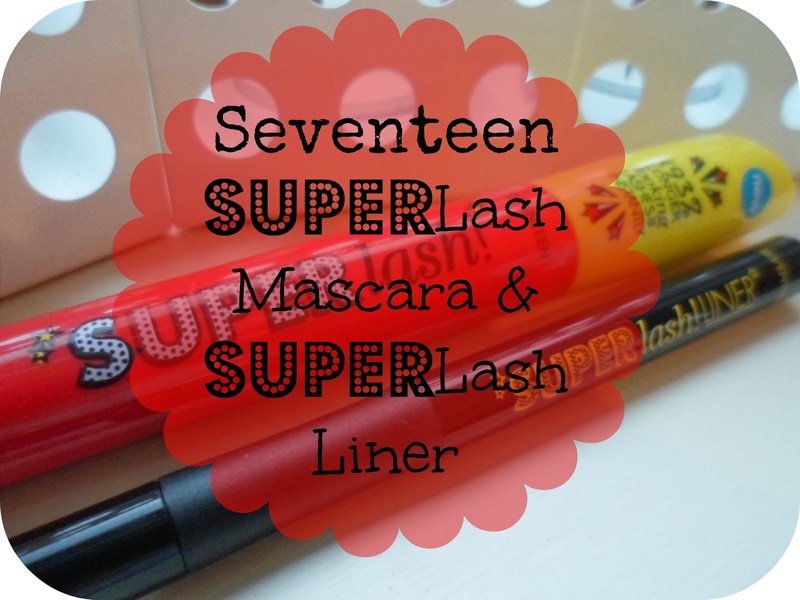 It is the Super Lash Mascara and as it is a newbie, Seventeen have got a fabulous saving on it at the moment. I can be a bit fussy with mascara and only really like thinner-type brushes - ones that are more like combs, so before purchasing I quickly hopped onto the Boots website and looked for a photo of the brush (because there were 0 on the stand!) And thank the lord... it looked thin - and it is! I colour I bought was Blackest Black (I wouldn't ever buy any different!) but I think they also do a black/brown for those of you who prefer that! The packaging is super cute - bright red and yellow.... a bit like a super hero costume - I'm not going to loose that one in the make-up bag easily! My only one problem so far with this product has been a bit of a panda eye effect. After a long day at work I seemed to have slight black ring underneath my eyes - which to my understanding would only be from this product as I haven't changed anything else! I am a bit guilty of a panda eye look some days - I literally don't know what I do wrong but it has seemed to be a bit worse than usual. So yes, this has a thumbs up from me and my bank account! 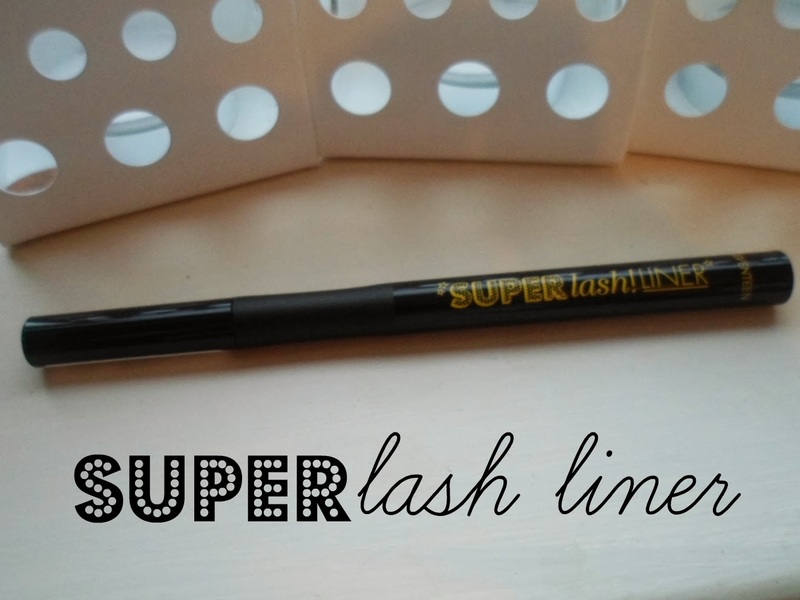 Now.... the Super Lash Liner. Eyeliner's are something I'm not too fussy with. I try them all - pencil, khol, liquid, gel, felt tip .... I haven't found a holy grail yet just lots that I am a fan of! And well... this was free so of course I was going to try it! First of all I love that is has a felt tip type tip, I find them so easy to use and with it being an angled tip aswell it makes it even easier. I've used this on my lower lash line and it was so easy. With this particular tip I think this would be fab for doing the upper lash line and flicks as it is so easy to be precise and neat with your lines! So there we have it, another mascara and eyeliner sitting firmly in my make-up bag and all for less than £5! I've never tried an eyeliner with this shaped tip but it does look like it might be useful for creating a cat eye! The eye liner looks great, I like the idea of an angled tip. I was so tempted to try this because of how cheap it was but even though your review of it was great, personally I prefer a big brush and i'm not so sure on the tip of the eyeliner, I currently use a l'oreal felt pen one which I love, so I'm not sure? I love that liner. Its brilliant and so pigmented. I recently got this as well (such a bargain!). I think the mascara is really good especially for £4.99!